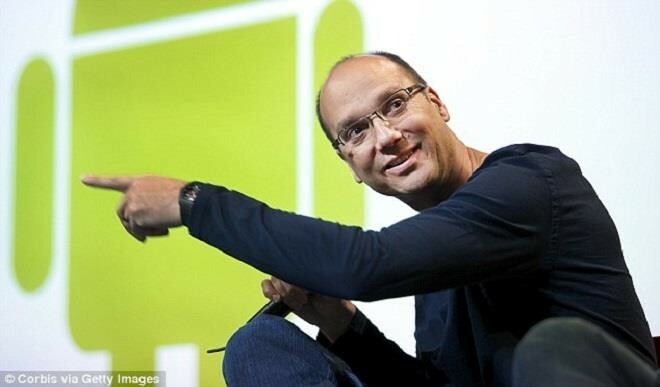 The inventor of Android is set to re-enter the phone market and he believes he can take on Apple and Google. Andy Rubin has revealed a glimpse of his firm’s new handset with what appears to be a 360 degree camera, according to Daily Mail. It has raised speculations that the handset, which may cost close to N260, 000 in Nigeria, will have a port on top to enable accessories to be plugged in-including the camera, which could be used to create augmented reality apps. According to Bloomberg, the handset will be aimed at the luxury end of the market, and could be expanded using plug in modules. Rubin is aiming to put the phone on sale around the middle of this year for a price close to that of an iPhone 7 ($649). Someone familiar with the matter told Bloomberg, although they admitted ‘all of the plans are still in flux’. Earlier this year, it was reported that Rubin had recruited over 40 people to his new firm, to be called Essential, according to Bloomberg. It aims to build an entire technology ecosystem using AI - from phones and smart home gadgets to app stores. “Armed with about a 40-person team, filled with recruits from Apple Inc. and Alphabet Inc.’s Google, Rubin is preparing to announce a new company called Essential and he intends to serve as its Chief Executive Officer, according to people familiar with the matter,” Bloomberg said. A search in LinkedIn reveals several of the employees, including Niccolo De Masi, the ex-CEO of Glu Mobile, who is listed as the firm’s president & COO. Rubin also recently hired Andy Fouché from Magic Leap, a Google backed firm developing AR glasses.